Add Some Pop to your Party! These little ghosts are *almost* too cute to eat! 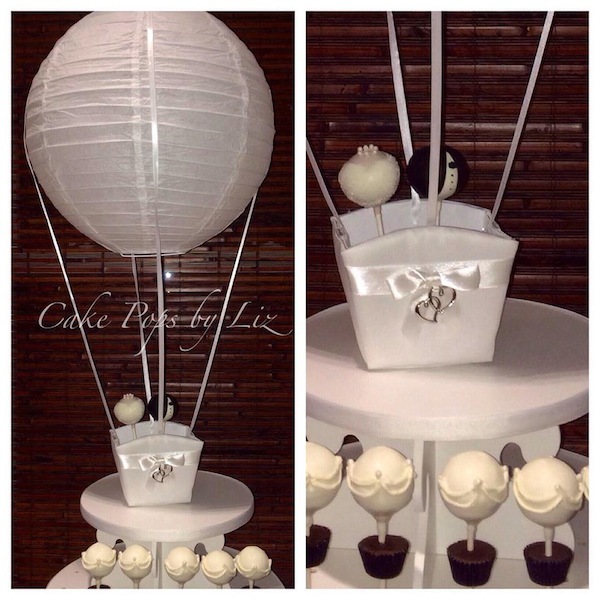 Cake Pops by Liz can create a custom design just for your party! 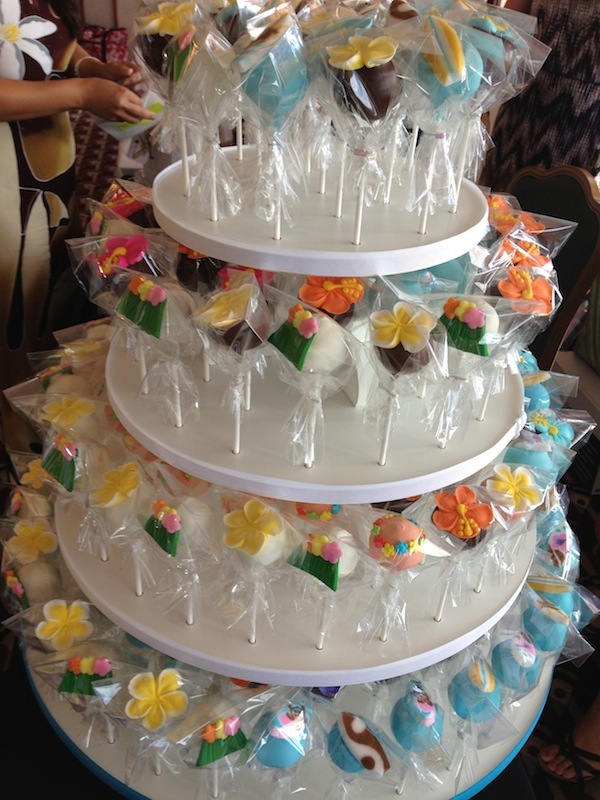 Maui Made: How did you get into the cake pop business? Liz: When the Real Estate Business started to slow down I started making these sweet treats for my friends and family. After getting busier and busier with more and more requests they became a sweet treat for you and your friends. I love to make people happy! It’s a wonderful way to show people the beauty and lifestyle of Maui through my Cake Pop art. MM: Where can people view your creations, and what are your most popular flavors and themes? Liz: You can shop Cake Pops by Liz at my website www.cakepopsbyliz or my etsy shop Cake Pops by Liz and browse my most recent creations on my Facebook page! Some of the most popular flavors are Chocolate, Red Velvet, and Lemon! Seasonal and specialty flavors such as orange, strawberry, Lilikoi, and Mango have been popular too! Cake Pops by Liz holiday themed Cake Pops are always a popular way to celebrate the holidays! MM: What other options do you provide? 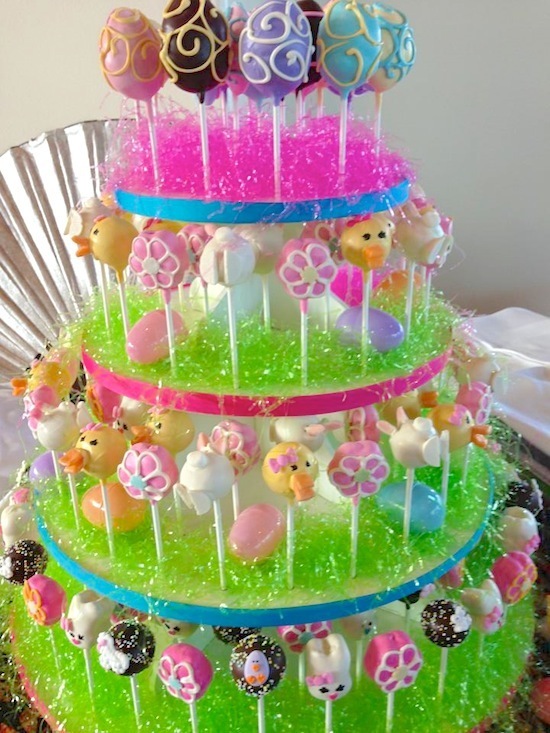 Liz: Whether you need one or two dozen cake pops for a gift or small party or 100’s of cake pops to celebrate your special event, Cake Pops by Liz can display your pops in one of my gift boxes or on a 4 tier Tower for all of your guests to adore! Let me know the special theme or occasion you’re celebrating to have a custom Cake Pop by Liz created that will reflect your celebration! MM: Where on Maui can people taste your special treats? Liz: The Cake Pops can be found at The Makena Resort Barista, Coffee Bean & Tea Leaf in the Shops of Wailea, and Java Café in Kihei. Or, you can contact me directly to arrange a private tasting at my location in Kai Ani Village Business Suites. Cake Pops can be individually wrapped for your guests to take home! Baby Shower Party Favor Idea – A box of Pops to take home! MM: What’s next for Cake Pops by Liz? Liz: I’ve added Giant Cupcakes and mini cupcakes to my collection. My newest creation is my Hot Air Balloon Cake Pop Bouquets! These can be purchased separately for Baby Nurseries and room decorations too. Mahalo to Liz for sharing her sweet story! Follow along on Facebook for your daily dose of deliciousness. Etsy is a literal gold mine for jewelry lovers, the only hard part is separating the great stuff from the really great stuff. I know that taste in jewelry (as in a lot of things) is subjective, but to my eye (for anyone that has me on their Christmas list), this is really great stuff. Lisa of Ke Aloha Jewelry describes her work as ‘modern and delicate, handmade on Maui with aloha’, and I couldn’t have said it any better myself. As two moms of little kids, we bonded over sleepless nights (and days!) via email, but we managed to discuss some work as well (thanks to caffeine). Maui Made: How long have you been making jewelry? Lisa: I’ve only been doing this for a little over a year and a half. I got into jewelry a couple years after my son was born. I needed something to do at home that would fuel my creative side, and that’s when making and designing jewelry came into the picture. MM: Where can people buy your jewelry? Lisa: Right now I sell exclusively online in my etsy store. MM: What are your most popular pieces? Lisa: The white Mano (shark tooth) and Mano Jr. necklaces have been consistent best sellers, but my new druzy post earrings are in high demand and sell out fast. MM: You have well over 2,000 sales on Etsy, (congratulations) – Do you have any Etsy tips to share? Lisa: I have to reiterate everything that has already been covered many times over – great photos, great customer service (be nice to everyone! ), great packaging and branding, SEO, browse the forums, ask questions if you have any, promote outside of Etsy, and find your own style. Also, don’t be afraid to fail. I had an Etsy store back in 2008 which sold my photography. It was not a success, but its failure was essential. 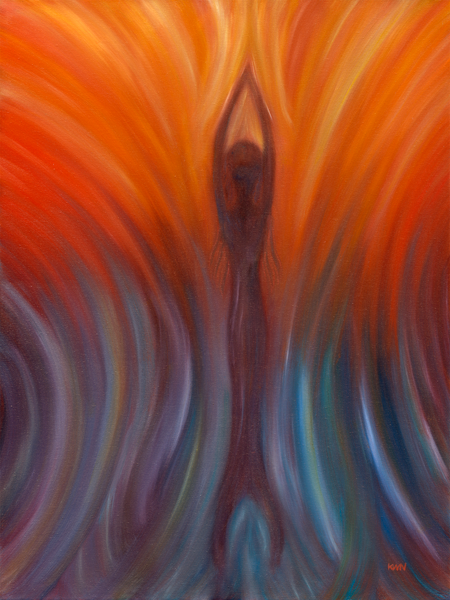 It allowed me to reevaluate what I really love and wanted to do. It led me to jewelry and I’m very thankful. MM: What’s next for Ke Aloha Jewelry? I’m looking forward to growing my line and getting a few pieces in some local stores. Lisa: I love making jewelry. It really is a culmination of everything I love – from photography to designing to creating. And, most importantly, it allows me to make my own hours so I can be there for my son during his early years – which go by way too fast. Mahalo to Lisa for the interview! 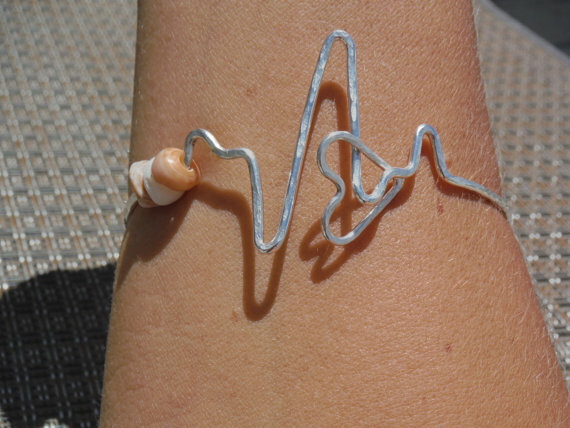 One of my favorite pieces is this one, the Heartbeat Bangle, that would be such a great gift for a nurse or doctor (pin this one!!). SJ: I was born in South Africa, but grew up on Oahu. I met my husband here on Maui and we lived on the mainland for a bit, but I was pretty sure we would end up back on Maui because he was born and raised here. MM: How did the jewelry making start? SJ: I started making jewelry a few years ago when a girlfriend with an art degree from UH Manoa came to me and suggested we do this as a hobby. She spoke to some acquaintances and had our line in a store in Paia. This lasted for about 3 months, then when she got too busy, I started on my own. A few shops took my things on consignment, and for the first year sales were really slow, and my husband asked me if I was sure I should continue with this hobby. After about a year, I was fired from my job because my boss came back from a 3 week vacation and said he couldn’t afford to pay me. I decided to put all my energy into the jewelry thing, and took my things from Wailuku as they weren’t doing well, and went into new stores in Makawao, Paia and Wailea. Then, the accessories buyer from Maui Clothing Company contact me after she saw my pieces on etsy. I’m now in two of their stores. Mahalo To Shuana for sharing her story!!! I had a feeling someday I would be writing about him (or her). This sweet little bee is made by Kira Ferrer, who has a truly impressive selection of jewelry available in her Etsy shop. 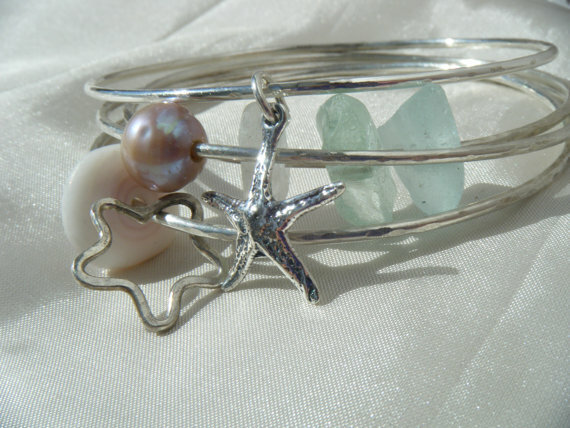 Kira uses a variety of gemstones, Hawaiian sea glass and shells as well as environmentally-friendly recycled sterling silver, and most of her pieces are available for customization and made to order. 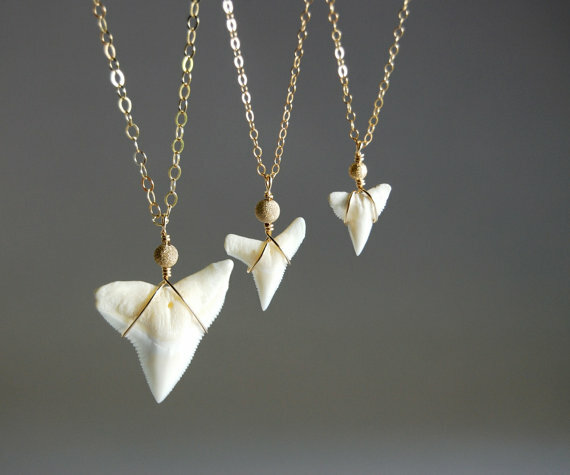 Maui Made: How did you get started with jewelry making? 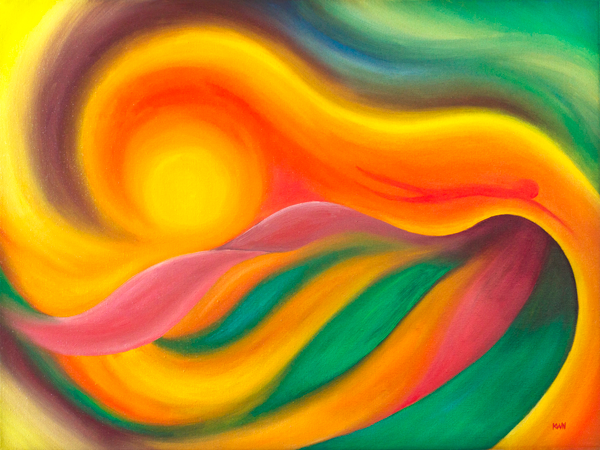 Kira Ferrer: I have always had a love for the arts, and have worked in variety of artistic mediums over the years. 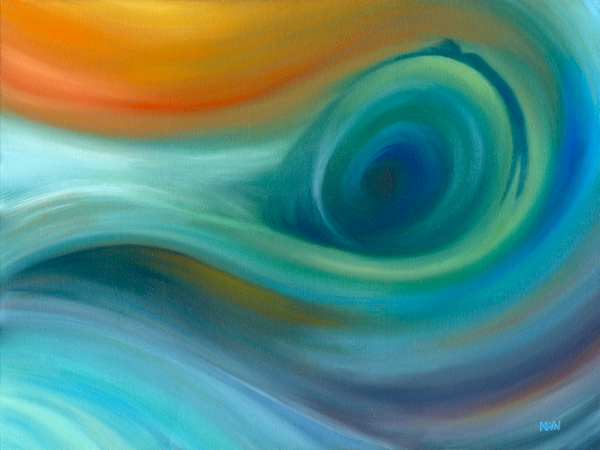 After working for many years as a painter and textile designer in the Bay Area, I fell in love and moved to Maui. 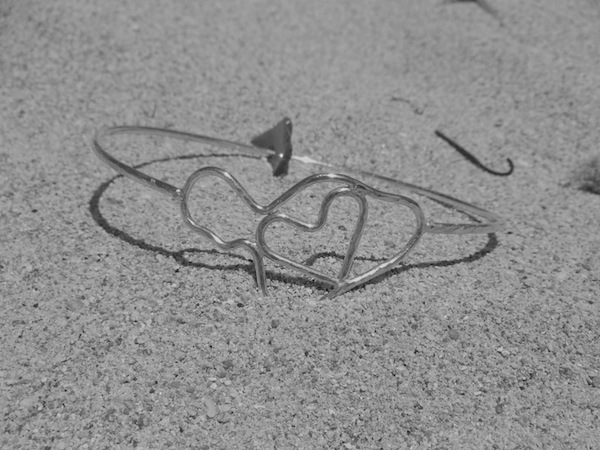 Working with metal and creating jewelry was a natural progression for me. The environment here is exquisite and I find endless inspiration for my craft. I’m especially inspired by the great blue expanse of the ocean, the gentle rustle of palm trees and the saturated colors of the tropics. MM: What kinds of materials do you work with, and how would you describe your style? KF: At this time I work mostly in sterling silver with some 14 karat gold accents. I especially enjoy creating rings and use a variety of precious and semiprecious gemstones as well as Hawaiian sea glass and shells. I use recycled sterling and gold whenever possible in an effort to minimize the effects of mining on our planet. 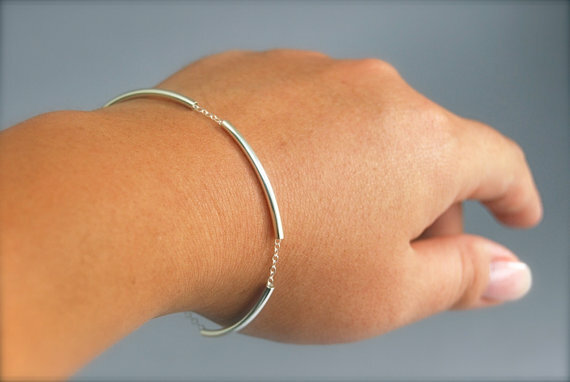 Recycled silver and gold are virtually identical to newly refined metals, and I feel good about being able to offer environmentally-friendly, handcrafted, heirloom quality jewelry. MM: Are you doing this full time? KF: Making handcrafted jewelry is my full time job. Everything is hand crafted by me in my Maui studio and then packaged and shipped world wide. MM: What’s your most popular item? MM: Any Etsy tips for people just starting out? How long have you been selling on Etsy? KF: I’ve been selling on Etsy for almost 5 years. To those just getting started at Etsy, I would say refine and hone your overall vision, and emphasize a clear design style that will be recognizable to your customers. Customer service is key in running a small business. Do your best to answer inquiries and orders promptly and always go the extra mile to communicate with customers and show that you care in your interactions. Also, when I first opened my shop on Etsy I spent a lot of time perusing the Etsy forums. The forums provide a wealth of information and I always found other Etsy sellers generous and helpful with information and advice. MM: Are you in any shops in Hawaii? MM: What do you like to do for fun? When I’m not in my studio making jewelry I’m out hiking and taking long walks by the ocean (collecting shells for my one of a kind pieces) soaking up the beauty of this island. I also love reading, gardening, cooking wholesome, delicious meals for my loved ones, traveling, visiting museums, adventures with friends and spending time in nature. I’m continuously expanding my craft with new techniques and designs. As of late, I am really excited about the new wax cast pieces that I’m working on. I’m continuously adding new pieces to the collection so stop by Etsy to see what i am up to in the studio. MM: Where can people see more? Mahalo to Kira for sharing her story with us! Let me start by saying that I’m not an etsy seller, but writing this post as a buyer, and frequent peruser of etsy. 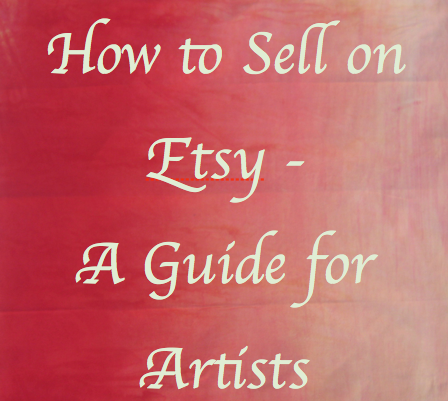 I’ve noticed a few differences between a decent shop and a great shop, so I’ve done a bit more research to put together a few tips for anyone starting out on Etsy, or looking to increase sales. Most of the blogs that I found on this topic where no less than 10 pages long and full of technical terms, so I’ll try to keep this brief and ‘artist-friendly’. You can google anything that you may want more information on. The search for ‘etsy tips for dummies’ yielded about 50 MILLION pages. Seriously. Use GREAT photos – Each and every blog post I read about Etsy tips has this as their first tip. You can have up to five pictures for each listing. Use them. Have close ups, on models, different angles – buyers want to feel like they’ve touched and held the item. If your photo skills aren’t up to snuff, trade some of your pieces for some pictures by your neighbor with the fancy camera and hot photoshop skills. It will be worth it. Get to the point with your ITEM TITLE! You only have 140 characters, and you want the search terms at the front of the title. Also, while people are scanning items this (plus the pic) is all they see! One of the items I was looking at had the title ‘cute cute cute’ – i have no idea what she’s trying to sell! You have lots more room in the description section to talk about how cute it is! Don’t forget to proofread – typos will keep you from coming up in searches! Follow the RULES or they could shut you down without notice. Etsy’s Do’s and Don’ts are 29 pages long. With this in mind, you should probably go ahead and start your own website, even if its just a placeholder page, so your customers can still find you if you get booted off etsy. Keep in contact with your CUSTOMERS – Etsy has that personal feel, so one of the great suggestions is to let your customers know when the package is being shipped, when it should arrive, and maybe a follow up to see how they are enjoying it? Spend some time to create great PACKAGING – throw in some stickers, a nice business card, maybe even add in a coupon for their next purchase? Check out the SUCCESS Stories – you aren’t inventing the wheel here. See what the top sellers are doing, and figure out how to do carry that over to your shop. a. Search engines will find you – Search Engines like websites that have incoming links from lots of other, quality sites. Take advantage of the fact that you can now comment on lots of people’s blogs and include your shop website! It’s so easy! I wont get into too into SEO here, except to say that another tip that all the bloggers talked about was making sure you have the right tags on your products. You can use 13 tags – use them. Describe your product physically, then use some descriptive terms. You can view your ‘Shop Stats’ to see which tags are effective. b. – People will find you. You don’t have to use every single social networking site, but you should use one or two. Use the Etsy forums (ask and answer questions), join some teams, start some treasuries… probably endless. Starting a blog is a great way to attract more people (and help search engines find you), start a Facebook page for your business, join Pinterest or Instagram, and use whatever you set up. Some Pinterest tips : Dont just pin your own products, your followers wont like it and neither will Pinterest. But, when you Pin your own products (from Etsy), make sure you like what it says (I think its the Item Title that comes up) – make sure it describes your product AND has your shop name. That will help people know its you when they see your product pins!